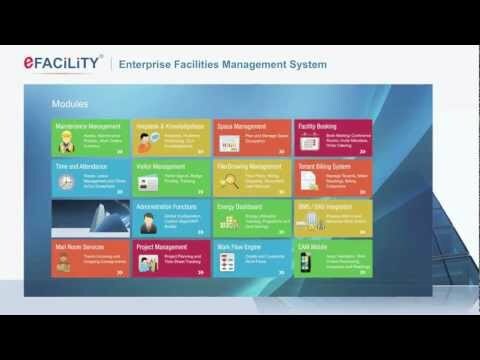 eFACiLiTY – Enterprise Facility Management Software, SIERRA’s flagship product eFACiLiTY® – Enterprise Facility Management Software has been conceptualized, developed, continuously improvised and innovated to optimize the entire physical environment of major industry sectors like Infrastructure, Real Estate, Telecom, Healthcare, Hospitality. Track, maintain and manage your Assets. Multi site, multi organization and multi level asset tree. Generate and manage preventive & breakdown maintenance work orders. Vendor, Contractor and SLA management. Extensive inventory / stores module to manage spare parts. User friendly performance dashboards (KPIs) and 250+ preconfigured reports. Record and manage calls received via online, Phone, email and BMS. Assign, distribute and monitor problems reported. SLA Management & Escalation. Recording of all events, follow-ups. Raise, track and close the work orders. Knowledgebase to Search and Record Solutions. Call response analysis. Online requests for appointments. Pre-registration of groups/individual visitors. Business card scanning for speedy registrations. Photo & Signature capture integration. Access control system integration for movement tracking. Visitor / Contractor - badge / pass printing. Web enabled facility reservation. Inviting Internal & External attendees for meetings. Car Park reservation and Visitor Management integration. Scheduling of refreshments orders to catering. Billing & Usage Analysis. Switch On/off HVAC and Lighting automatically. Shift management and roster generation. Leaves processing & workflow management. Track time-in and time-out of every personnel. Overtime calculation and reporting. Integration with multiple access control systems. Export data to Payroll systems. Manage space inventory. Visually plan and allocate space. Department / project wise occupancy analysis, charge backs. BMS Alarm based Automatic Work Order generation. Email / SMS notifications. Automated meter reading and tenant billing. Trigger usage based preventive maintenance work orders. Equipment On/Off and Controlling automatically. Manage Property, Tenant, Owner and Lease information. Zone wise charges on different parameters. Automatic meter reading via BMS and manual option. Automatic bill generation. Occupancy / Vacancy Analysis. Register travel requests along with individual preferences. Combined request for ticketing, visa, hotel & cab reservations, foreign currency purchase etc.. Multi-level / multi-department approval workflow management. Raising work orders for vendors. Chargeback cross-department, cross-account/project. Extensive reporting and integration with financial applications. Easy tracking of the Outgoing and Incoming Consignments. Provision to generate barcode for the consignments. Triggering of mails on receiving and delivering of consignments. Performance analysis of service providers. Resource wise consumption trends. Alerts on excess utilization. Carbon saving and monetary savings reports. Green building certification related reports.